This portfolio represents companies which have participated in SA&E’s fundraising process and raised money from SA&E members. In making such investments, a member of SA&E acts in his or her individual capacity and not as an agent of SA&E, Stanford Alumni Association, or Stanford University. 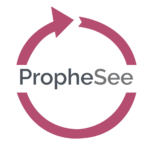 PropheSee is a Software as a Service (SaaS) platform that empowers brands with data-driven insights which allow managers to compare and analyze digital campaigns and execute directly from the platform. Founded in 2014, PropheSee plans to build audience listening and community management capabilities and testing new methods to measure consumer engagement and intent among other behaviors. Besides serving brands like Faith Connexion, Rock N Shop, NDTV’s Indian Roots, Miss Malini and PVR Cinemas the company also worked for political parties in India in the past. SmartVizX aims to offer customers purchasing real estate with a more collaborative & immersive experience through high-quality virtualization. The Company aims to create online and offline products for the real estate industry using gaming & virtual reality techniques. Betaout provides a SaaS-based omnichannel marketing solution that enables e-Commerce businesses to personalize their marketing efforts. Incubated by TechStars, Betaout has grown 5x growth in the past 7 months with a $1M annual revenue run-rate. Betaout’s other investors include the CEO’s of Snapdeal, Freshdesk, People Group, Paytm, Fusioncharts, Match Group and Slideshare. Gyandhan is India’s first and only education-focused financing platform. They offer comprehensive financing solutions for students to enable them to follow their dreams. There is a unique information based credit rating that helps financial institutions manage their loan book and risk profile. Kopykitab exists to make education personalized and affordable for students. We are largest multi publishers ( e-books, e-notes, and video content) platform. We have digitized contents from 100+ top publishers, to create personalized education for more than a million students from 9th standards to Higher & professional education. Kopykitab is the only one in the country with access to thousands of books and content from top 100+ publishers. We believe that every student is unique in capabilities and learning stages. Our vision is to offer every student, the most relevant, tailor-made content in the most comprehensible way for that student. This helps them to address their “critical” educational needs. India’s largest learning platform. Classroom education in India has stifled many brilliant minds. With Unacademy, India’s largest education platform, we are changing that. In a span of 6 months, over 300,000 students have benefited from over 2,400 online lessons and specialized courses on cracking various competitive examinations, on our platform. We have on board some of the top educators in the country, including Kiran Bedi, India’s first woman IPS officer and now the Governor of Pondicherry. With over 2 million views every month, we are touching the lives of people in the remotest corners of the country. Our success stories include thousands of students who have cracked toughest of examinations, improved their ability to speak and write better and increase their knowledge. Our vision is to partner with the brightest minds and have courses on every possible topic in multiple languages so the whole world can benefit from these courses. India is home to 19% of the world’s youth and we are empowering them to take on the world in a manner that classrooms will never do. Awaaz.De is an India-based last-mile mobile tech company. Their universal communication technology platform lets organizations overcome literacy, language, and technology barriers to reach any phone through mass voice messaging over 2G networks. King Children delivers affordable, custom-fit, 3D printed eyewear accessible through an app-based virtual try-on experience, marketed through a highly engaged micro-influencer network. Professionals world over today want more flexibility, independence & ownership of the work that they do. Enterprises, on the other hand, are looking beyond their walls for talent to achieve key objectives. TapChief is a platform for professionals to share & monetize their skills. Started in 2016, by BITS Pilani Alumnus, TapChief today enables professionals to network & learn from each other, engage with enterprises on short-term consultations and remote & on-site projects. Enterprises using TapChief’s proprietary cloud-based hiring & project management solution are fostering a culture of agility and frugality within their organizations. Moneytor is helping automate Debt collection. We endeavor to convert a frowned-upon part of the financial chain into a happy experience for both, financial firms and their customers. By doing this, we shall help lenders reduce their recovery costs as well as default rates, while still maintaining friendly relations with their clients.